I have assembled some common myths that you might have heard. You'll hear this one a lot. It is an old wives tale repeated by people who have no idea what they are talking about. Maybe they are thinking about all electric cars. A new breed of "plug-in" hybrids can improve gas mileage but they also have a gasoline engine to power the car when the battery runs out. Hybrid cars get over 70 MPG! Again, this is false, most hybrids have EPA mile per gallon city estimates in the 30's to 50's best case. The Hybrid's rechargeable battery only lasts for 2 years! Unlike standard car batteries, the eco-friendly rechargeable hybrid batteries usually come with an 8 year/200,000 mile warranty and are designed to last that long too. If I run out of gas, I can keep driving on the electric motor! Hybrid cars rely on the gas engine most of the time and their electric motors might function for a short time if you run out of gas, but unless the gas engine is on and charging your hybrid electric battery, it will totally discharge. But on the flip side, if your electric motor quits working, your gas motor will run on its own and still allow you to drive the car as a normal car. At a full stop, like at a red traffic light or stop sign, the gas engine usually shuts off to eliminate idling and reduce emissions. The electric motor is now ready to propel the car when push on the gas pedal. In crowded cities with lots of stop and go traffic this can save you a lot of fuel. Starting from a stop, the electric motor assists in accelerating your car using power from the battery pack. 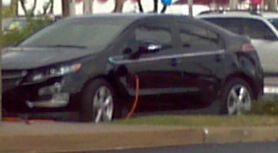 In downtown stop and go traffic you save the most fuel with hybrids, unlike regular cars where you burn the most fuel. The gas engine turns on and off as needed while you drive. Rapid acceleration will still hurt your gas mileage, just like a regular car. This is where the fuel efficiency of a hybrid vehicle is different than a regular car. You get lower mileage on the highway than in the city. The reason is that in this driving mode the car is typically powered only by the gas engine, which may be charging your electric motor battery pack at the same time. So the electric motor is not typically contributing during highway driving, meaning your hybrid is just another gas powered car at highway speeds. Some hybrids get slightly better highway mileage than their non-hybrid counterpart because they are able to use a smaller, more efficient gasoline engine since the electric motor can assist for passing/acceleration. Also, many hybrids have continuously variable transmissions that allows the engine to operate at optimal RPM. If you are a highway commuter that drives an hour to work each way on the open highway with no stop and go traffic, a hybrid vehicle will probably offer you little fuel savings. When you brake or coast, kinetic energy gets converted to electric energy instead of being wasted as heat like in standard car. This is accomplished by using the electric motor as a generator to charge the battery pack. This process of charging the battery is known as regenerative braking. Keep in mind that hard braking requires the normal friction brakes as well so to get the best fuel efficiency you should brake smoothly. How Do You Save Money When Buying New Hybrid Cars? You save money when buying a hybrid the same way that you save money buying a regular car. We recommend that you read our Buying a New Car in 5 Quick Steps article or read our full car buying guide in addition to the information on this page. If you decide on a new hybrid car, your goal is to make sure you aren't getting screwed with ridiculous "market adjustments." A "market adjustment" is simply an additional dealer profit sticker added next to the MSRP stickers. We recommend that you get quotes from high quality quote sites. Make sure to get multiple, competitive quotes to keep the dealers in line and save the most money. These sites offer you free new car price quotes and new car dealer invoice prices. We recommend that if the hybrid car that you are interested in has a non-hybrid sister model (e.g. Civic vs. Civic Hybrid) or a non-hybrid close competitor (e.g. Prius vs. Ford Focus), you should request a quote for both. Having a quote for the non-hybrid model will show you how much extra you are paying for the hybrid technology. Then you can decide if the gas money savings are worth the extra cost.